When I first learned about the power of change orders it changed everything in my workflow. When I implemented the practice, I actually began looking forward to when clients added work to a project — what I call scope creep — because I was able to make more money. When you work with a client who changes their mind or adds more work after you start a project, you have a couple of options. 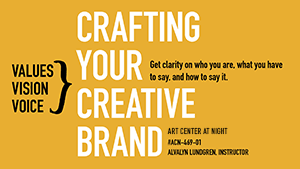 One is to complain that you’re not being paid enough — which is probably true in the case of flat fee pricing — and let your irritation affect your regard for both the client and their project. Another is to have a business policy in place to make it work to your advantage. 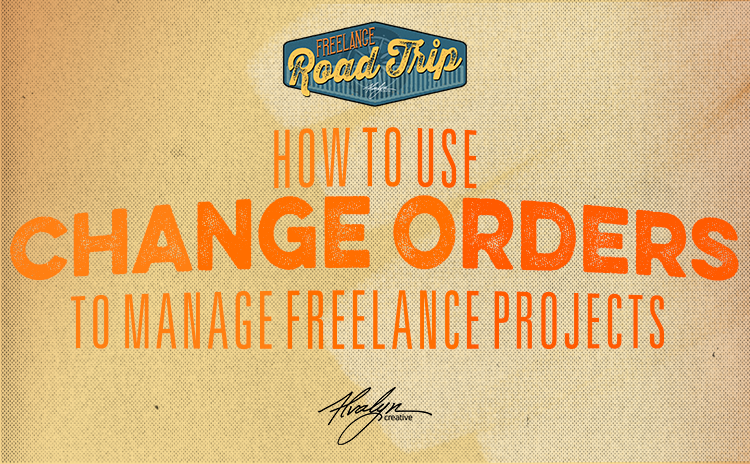 I want to share with you how I use change orders to manage my freelance projects. A change order is a written work order describing job requirements, time, sub-contracted services, materials and budgets. They’re used when contracted work is in effect. Change orders are used extensively in the construction industry, and are advantageous for anyone who works on complex projects with a lot of bits and pieces, and who works with clients who creatively change their minds. If you don’t use written contracts or agreements when working with clients, you won’t be able to use change orders. If you don’t use these, read this. And if you don’t use contracts, why not? Consider this, and start using them now. 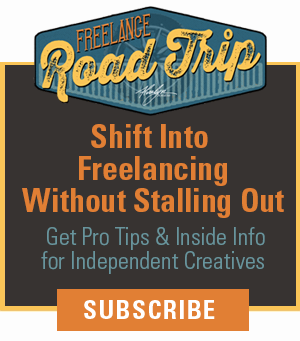 I share how to write a contract for a creative project in my Freelance Road Trip course. When should you use a change order? So if the client signs the change order, and you start working on the changes and they come back a week later and say, “Oh, I forgot! We also need this…” you can respond with another change order. The client gets used to having everything in writing, and you do, too. Remember that when you have it in writing you have proof that you’ve agreed to it, you have something you can enforce and refer to. You also have guidelines to work by, you know what’s expected of you, and the client knows what’s expected of them. How does a change order work? First you have to have a written contract with a well defined scope of work. The more detailed you are in your contract with the client the more room you have to work with change orders. In my case, I price projects by value. So I gather all the client’s information and details about what they’re looking for, and return to the client with a single fee for the total scope of the project. I give them a contract or letter of agreement to sign, along with an invoice for the down payment. In my contracts I include details about quantities, sizes, versions, number of reviews, number of first concepts presented, number of pages, rights transferred, and so on. I also include a statement that any changes to the project scope as outlined in the contract require signed change orders. So everything is outlined and agreed to up front before I begin the work. The client knows what to expect from me, and I know what to expect from the client because we put it all in writing. And then it’s signed and the down payment sent. And then I start the project. Where change orders come in is when the client modifies the scope of the project. They’ll change their mind about something. 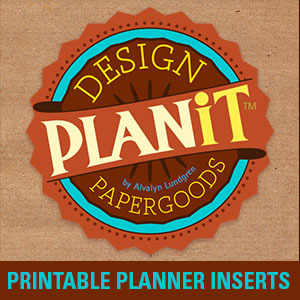 They’ll think up an additional uses for one of the design I create. They’ll want to change the number of concepts, add pages or features, or even down-size the project. Anything that changes the scope of the project we originally agreed to is a reason to write a change order. When the client comes back to me with changes to the scope that are not in the original contract, instead of writing an entirely new contract, I pull up my change order template, add the new requests along with an estimated schedule, additional creative fees, and relevant estimated expenses. In other words, the change order communicates to the client that the requested changes will impact the project schedule, completion date and budget. If there are any items that require payment in advance, those are noted in the change order as well. I then send it off to the client for approval and signature. The key here is to not start any of the new work until the client has agreed to the changes in writing. It has happened that, in reviewing the budget impact, the client has decided not to move forward on the requested changes. Clients sometimes will want to swap one deliverable for another. Even if there’s no budgetary impact and even if it will not change the production schedule, it’s still a change to the original scope and therefore should involve a change order. And again, for these swaps the client needs to approve the changes in writing before I move forward on the job. What’s the advantage of using a change order? There are a number of advantages for using change orders in your workflow alongside your contracts. It protects your time and your income. Clients cannot take advantage of a flat fee pricing model by adding on bits and pieces to the project, without paying for the additional work. Using change orders also builds your reputation as a professional and business owner. A client cannot treat you as an employee as easily if you use change orders. Change orders make it possible for you to increase your profit margin on a project. Using change orders helps you manage the myriad small details of a project simply because you’re defining all the little things that go into developing design and and illustration and photography. You don’t have to worry when a creative project starts to grow in size. Instead you can embrace the new requests with confidence that you will be making more money on the project. 1] Have a signed contract in place first. Otherwise, the change orders have nothing to reference and anchor to. In your contract, include a statement that change orders are required for any changes to the scope. 2] Confine the change order to one page. 3] Include the details of each request, the schedule, creative fees, anticipated expenses. 4] Include a statement of agreement and place for the client to sign and date it. 5] Reference the terms of the original contract and state that those terms also cover any change orders. What if you price by the hour? If your pricing structure is hourly you can still use change orders. Adding onto a project work load adds more hours for which you should be paid. Use a change order to acknowledge the new work, the amount per hour, and the estimated number of hours the work will require and a dollar total. That’s it. Your Turn: Will you consider implementing change orders in your project process? What questions do you have? Share them in the comments section.